Episode 6.14 — Oliver (Stephen Amell), Diggle (David Ramsey) and Felicity (Emily Bett Rickards) disagree with Dinah (Juliana Harkavy), Curtis (Echo Kellum) and Rene (Rick Gonzalez) on how to handle Black Siren (Katie Cassidy). The two teams face off and a fight ensues. Ken Shane directed the episode written by Oscar Balderrama & Rebecca Bellotto. Air Date: Thursday, March 1 (9:00-10:00 p.m. ET) on the CW. 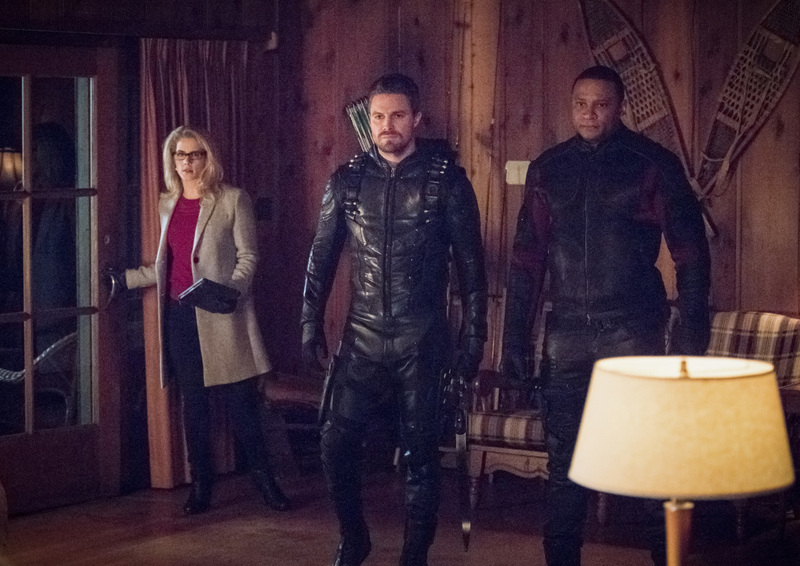 Arrow -- "Collision Course" -- Image Number: ARR614a_0029.jpg -- Pictured (L-R): Emily Bett Rickards as Felicity Smoak, Stephen Amell as Oliver Queen/Green Arrow and David Ramsey as John Diggle/Spartan -- Photo: Dean Buscher/The CW -- ÃÂ© 2018 The CW Network, LLC. All rights reserved.